TRUMP TOWER – Not one known for his patience or ability to delay gratification, Donald Trump cut a two-hour line to cast his vote at PS 59 in Midtown Manhattan on Tuesday. “How come he gets to cut?” one voter asked. “He’s busy,” another answered. 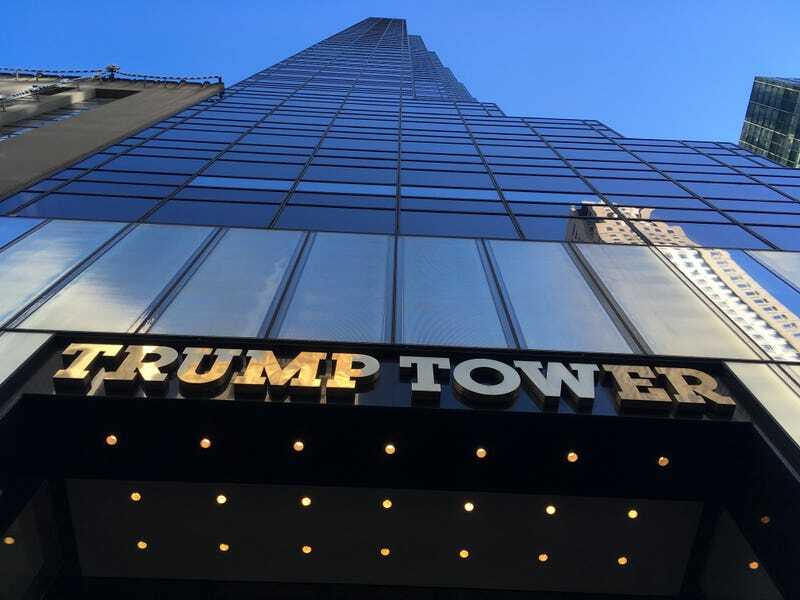 A few blocks away, a Fordham University student from China who asked that his name be withheld was taking photographs of the public garden on the fifth floor of Trump Tower. He said that he supports Trump because he likes his positions on illegal immigration and political correctness. A Trump security guard then informed Jezebel that we needed “paperwork” if we were to conduct interviews on the premises—despite the fact that Trump Tower’s lobby and the fifth floor garden are privately-owned public spaces—and advised that we should go talk to people “downstairs” about how to acquire such paperwork. “Just be discreet,” the guard said.